Oaky and bitter, with some orange peel, spice, brown sugar, maple cookies, and burnt biscuits. Time opens up a light fatty grain in the background, with light nuttiness and rye spice adding in intrigue. It follows the nose on the palate, with some bitterness - and there's a bit of a sweet oaky middle and finish with some vanilla, strawberries, and cranberries coming through on the lightly creamy finish. Value: Average. Cheap, not spectacular, but not necessarily a bad buy - though there are better ones in that price range. 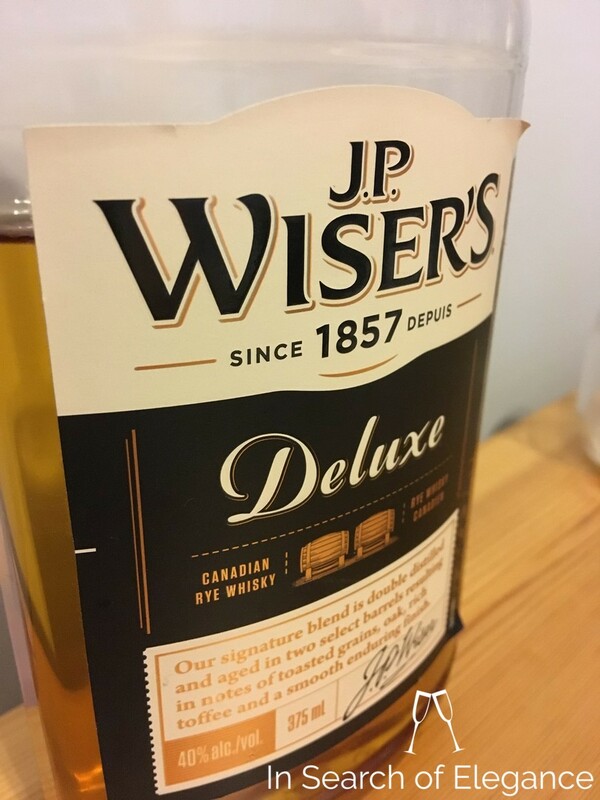 It’s very much worthwhile to spend an extra dollar or two to get Wiser’s Triple Barreled. The previous review was some time ago, and, I keep hearing about this – so time for another go. The nose has pine, burnt toast, vanilla, orange, light nutiness, butter, and orange peel. The palate is about the same – medium creaminess, and slightly bitter, with light caramel notes coming in mid-palate. Some white raisins, too. The finish has light evergreen wood (pine, cedar), with some clove and some very light dried apricot. It’s still not my favorite – oddly, I think the added bourbon to this (from the cask or otherwise) is what is responsible for the worst parts of it, namely the slightly bitter finish („smooth” as they call it...). Much better than I remember. I don’t grade enough whiskies in this range to know if my tastes have changed (my early review was towards the beginning of my formal reviewing), or if it is batch dependent. I have heard that it is ...but I’d still much rather pay a bit more and get a better lower end Canadian like Northern Harvest or Copper Pot. Old baking spices, old oak, orange peel, clove, coconut, beeswax, and a light oily character. The palate is easy and smooth, yet with a slightly spicy and drying character. There is a thread of complex spices under the whole whisky which is terrific. Lots of creamy notes, and some light candy characteristics too (like vanilla frosting).